You asked for it. We listened. And now it's here! 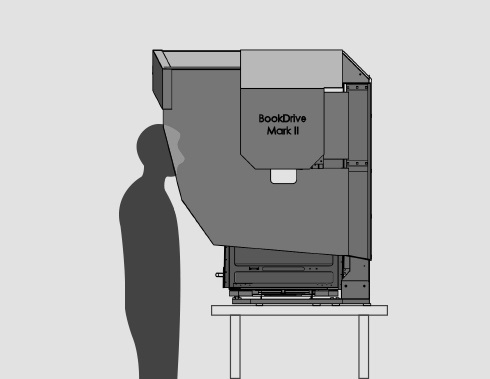 Meet Mark 2, a successor to the BookDrive Pro, which was our best selling model. Mark 2 has improved upon BookDrive Pro in so many ways based on actual feedback of the pro users that will really entice you to upgrade. 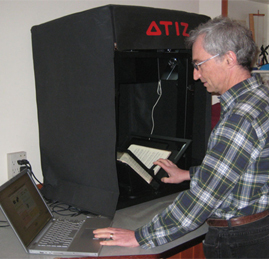 BookDrive is a de facto industry standard of how libraries around the world digitize their books today. 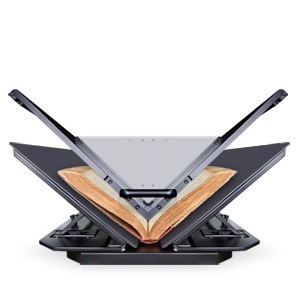 A dual-camera “V” cradle imaging system captures images of books and print materials, without risk of damage to the items being scanned. 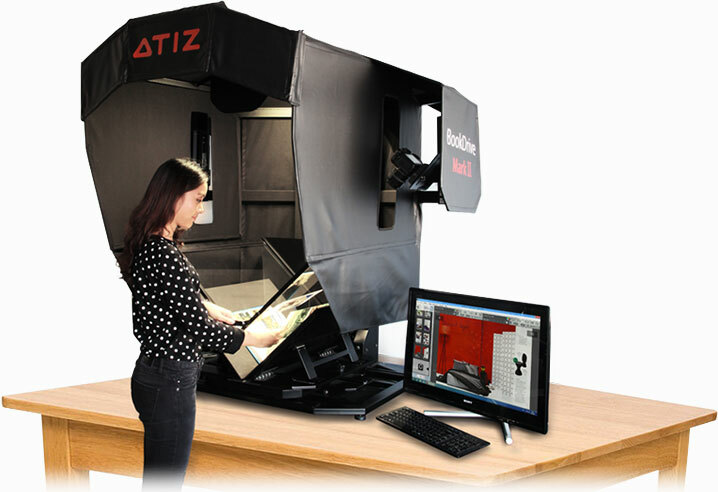 This scanning solution pioneered by Atiz has become so successful that it is widely embraced even by competitors. 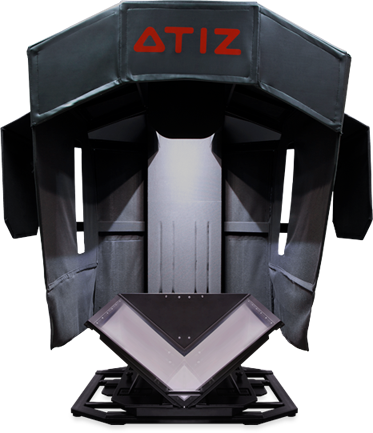 Some of the reasons why customers chose the Atiz. Simplicity of its design - there are fewer things that can go wrong. There are no motors, and fewer moving parts. Modularity - If we want to upgrade to more powerful lenses or cameras in the future, we can just buy them and install them ourselves without having to purchase a whole new machine. Therefore the Atiz Mark II is more safe from obsolescence. 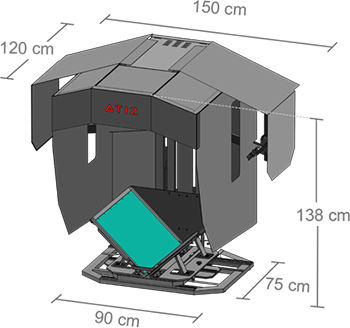 Size - The Atiz Mark II takes up less space than the other units we were considering. 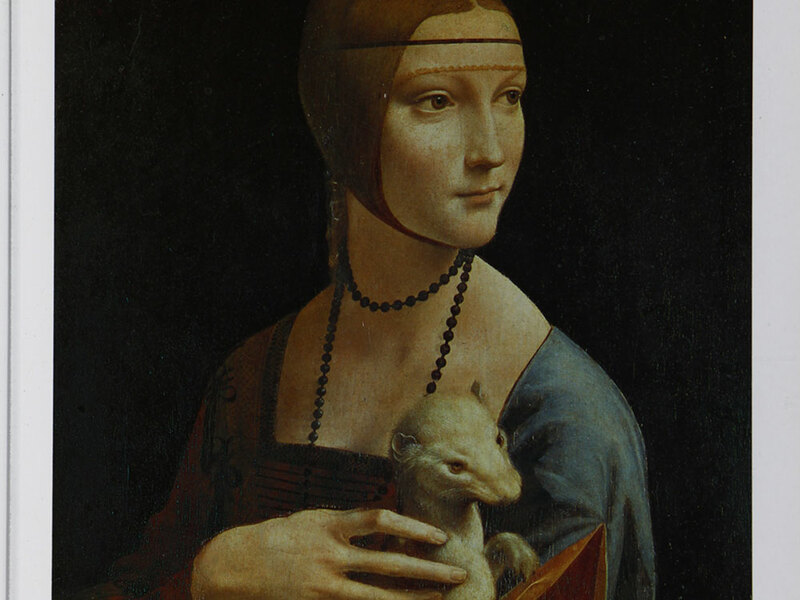 Cost - This product was considerably cheaper than the other units we were considering. Speed - The Mark II can capture 2 high-resolution images in a couple of seconds including the time it takes to turn the page. 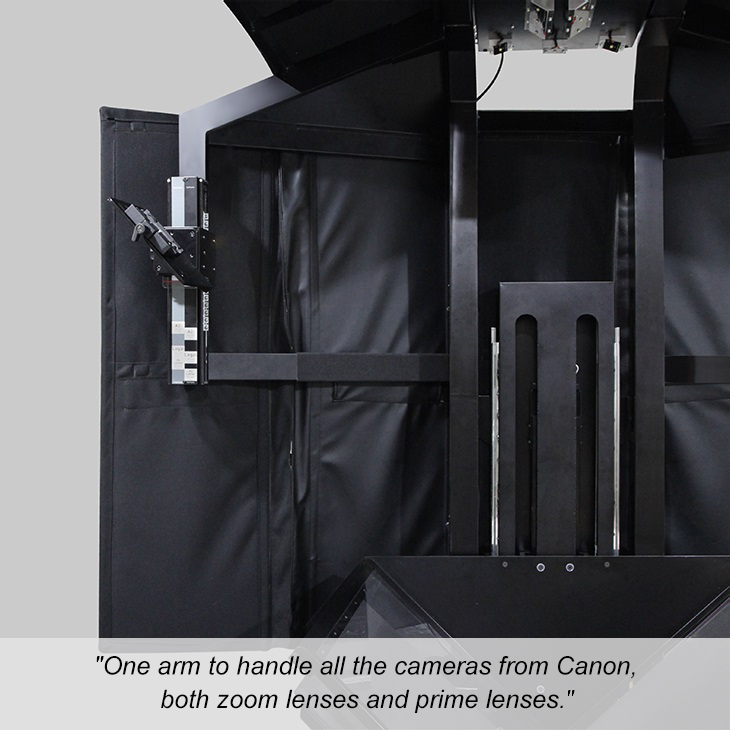 Overhead planetary scanners take many times longer, depending on the resolution. Ergonomics, operator comfort and safety is most important and it has received a major upgrade. Mark 2 is easier on your back, arms, eyes and ears. The new custom light produces much better images, but more importantly, the light will not shine directly or bounce off the glass into the operator's eyes. 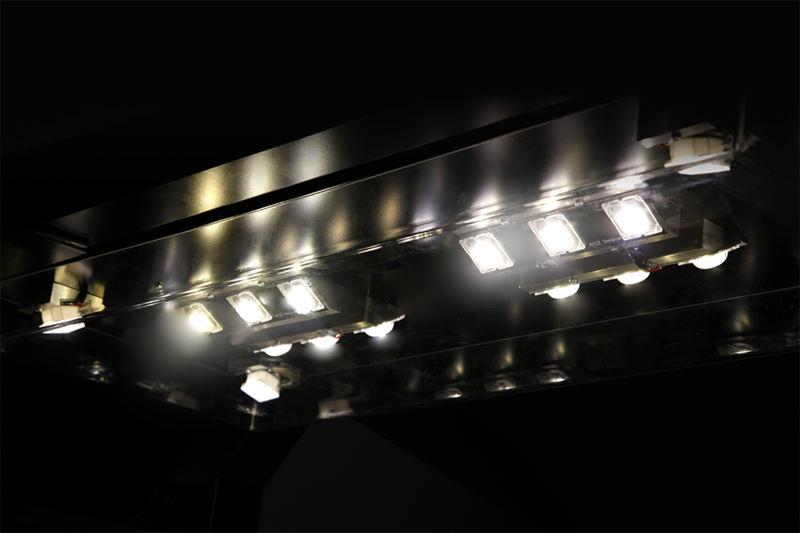 The new fan-less LED ensures the operation stay cool and silent the whole time creating a pleasant work environment. Suitable for library and office environment. Like a light in a luxury car cabin, it gently dims off when you turn it off so it's less abrupt to your eyes. No direct light hitting user eyes. Brighter yet more comfortable. Glare is reflected on the glass. Can be uncomfortable over long use. Shallower footprint. Fit on most desks. Ergonomical either sitting or standing. 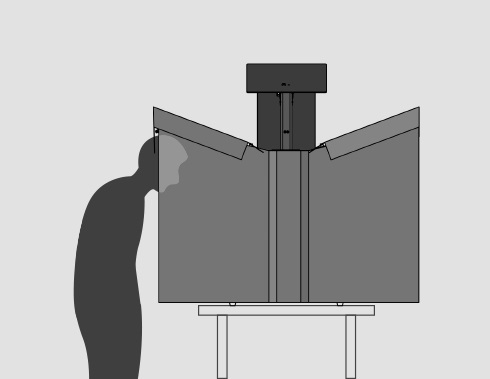 Suitable for operating in a seated position, but the shade would block your view while standing. 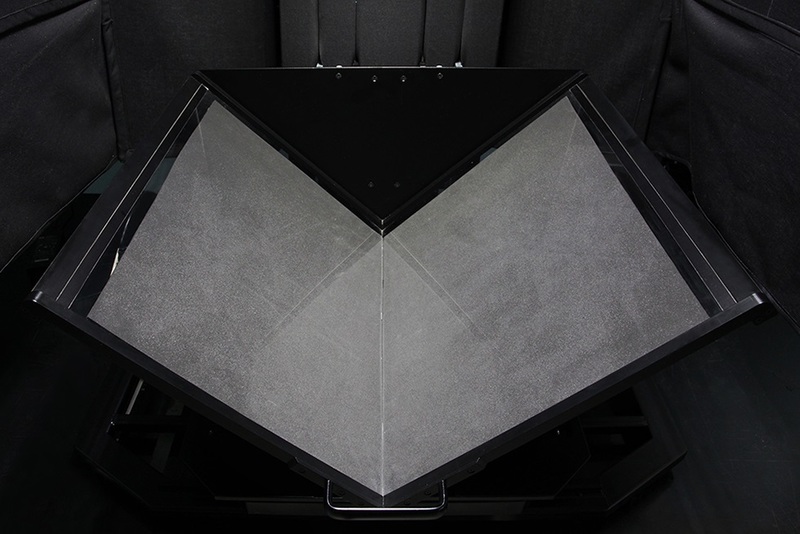 The V platen is made using a premium scratch-resistant material that is more transparent and durable than glass allowing for better scanned images. It is manufactured using a different production technique so that it allows you to scan deeper into the gutter. The new V cradle is better and more flexible. 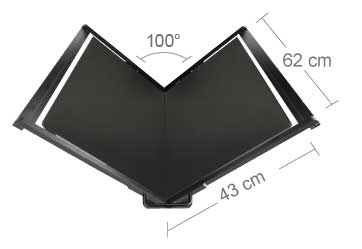 The cradle is adjustable, the angle altered and opened apart. 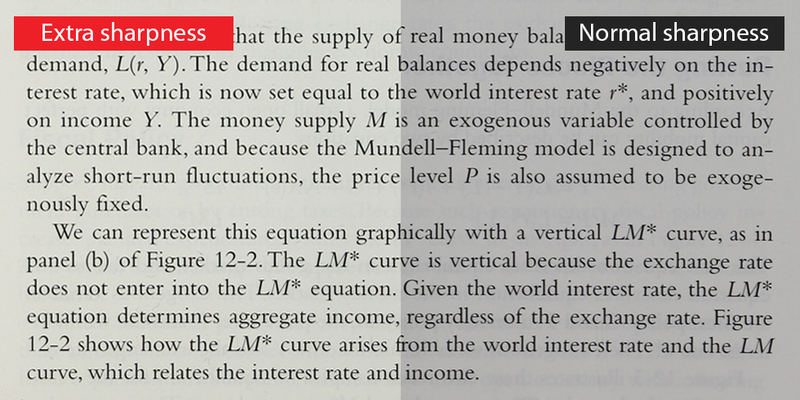 This makes for optimal page contact for all kinds of book bindings and spine thicknesses. 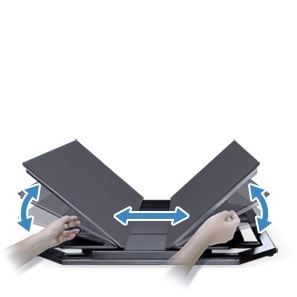 The self-centering cradle slides sideways during scanning keeping the books centered. 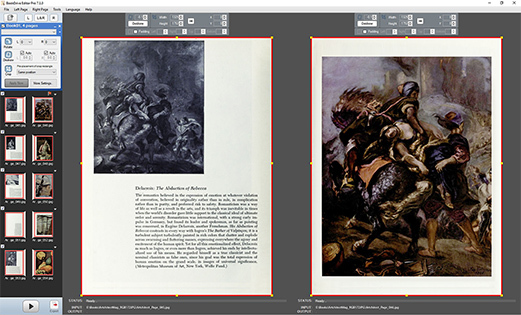 New V platen mechanics allow for the operator better control of the platen to mitigate risk of operator injury or damage to items being digitized. It is fingertip light to lift or lower. 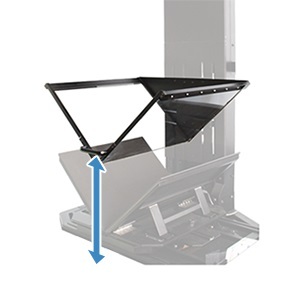 The platen hovers in the air and stays exactly where you position it. Even light distribution with no bright or dark spot visible anywhere in the frame. 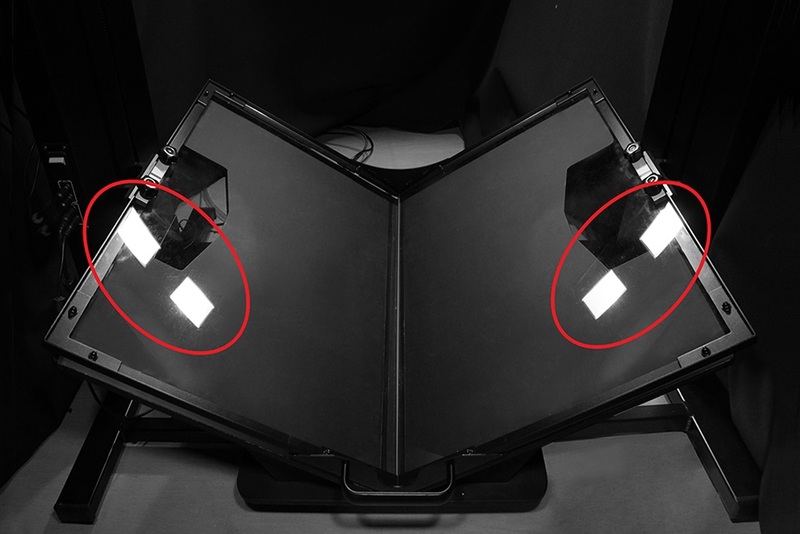 Brighter light equivalent to 2 stop speed shutter (compared with BookDrive Pro) and extra sharpness is achieved. 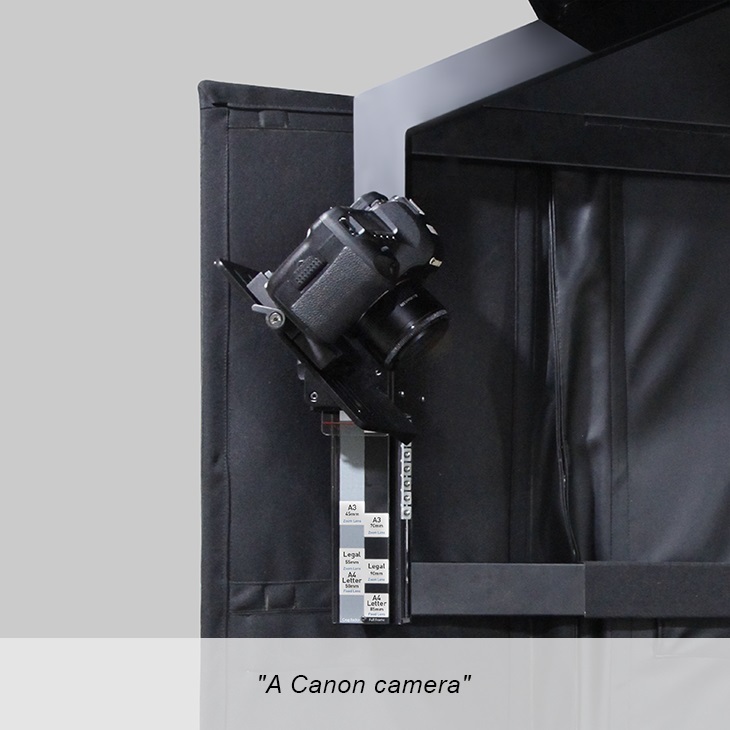 Designed from the ground up to support Canon DSLR cameras, both zoom lenses and prime lenses. and height perfectly matching the size of the item you intend to scan. Software determines the true productivity of a system and software from Atiz is the best. 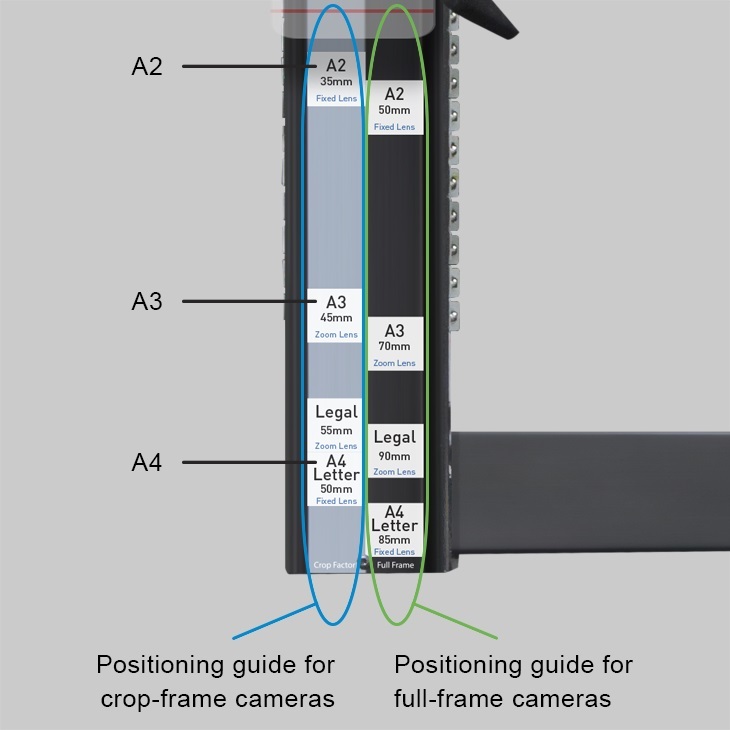 The software that controls the cameras and makes on-the-fly editing to the images during scan. 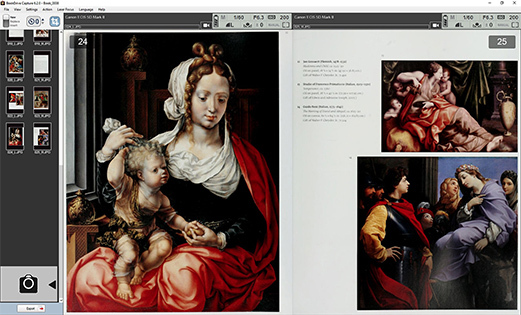 The application for advanced post-scan image processing to create output of the highest quality ready for distribution.